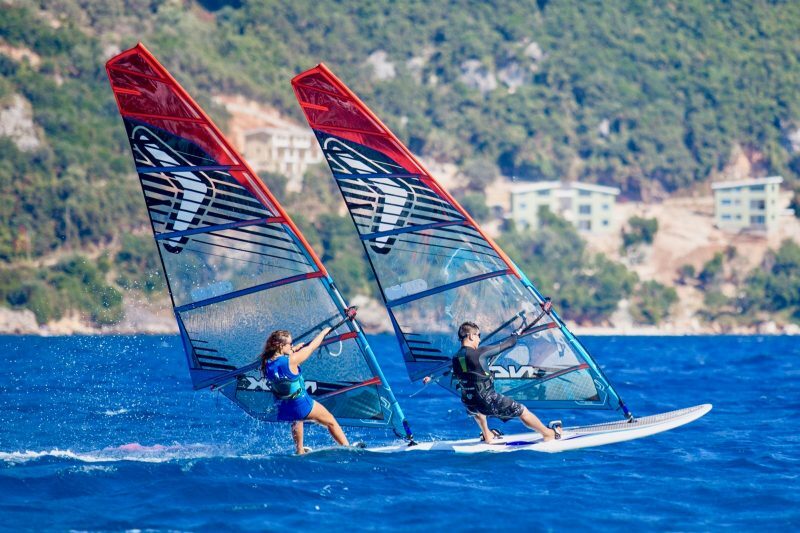 Kids Club gives kids the perfect opportunity to try windsurfing, with special kids’ equipment and dedicated kids’ instructors. Progress will depend on size, strength, aptitude and motivation and each weeks’ program is tailored around the kids’ needs. Each week our experienced Kids Club staff organise a full program of events, tailored to suit the group each week. Typical activities include: intro level windsurfing*, SUPs (Stand Up Paddle Boards) games, competitions, arts & crafts, boat trips, snorkeling , chill-out time with videos and much more. Kids’ safety and well-being is our priority. We take the kids out in the gentle morning on-shore, they all wear buoyancy aids on the water and are under close supervision from their instructors along with support from the rest of the beach team in the beach hut, rescue tower and safety boats. Entry to ProKids will be at Club Vass management’s discretion. We recommend each child comes equipped with a bag containing: sun-cream, rash-vest/sun suit, towel, change of clothes, drinks & snacks as required. **Age ranges given are a guideline only. Our dedicated team will form mini groups according to each child’s ability, motivation, maturity and where they feel happiest. We aim to be as flexible as possible.